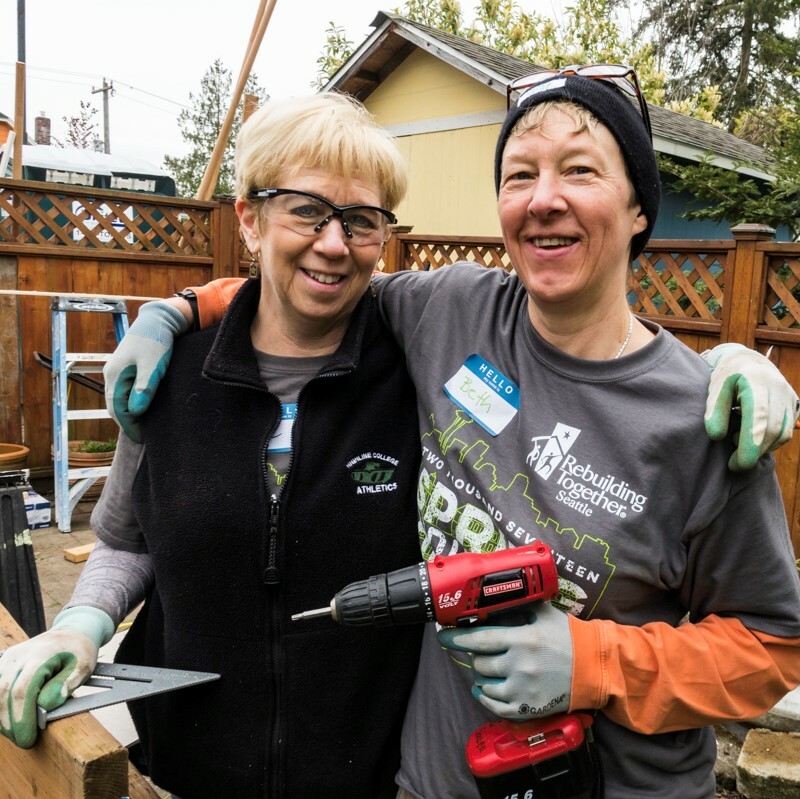 Join our CSL Create a Better World Team Sat, April 20 and/or April 27 for our 23rd Annual Rebuilding Together project, doing repairs, maintenance and landscaping to help low income seniors, families, and the disabled safely remain in their homes! Ours will be one of 20 projects around Seattle this April, with many more around the country as part of National Rebuilding Month. This year we will be working in Ballard at the home of two seniors and their daughter, all of whom have health issues, which along with limited financial resources have made it difficult for them to maintain their home. So we are going to help! Tasks include: Cleaning, caulking, painting, flooring, electrical and plumbing repairs, minor carpentry, lots of yard work & feeding volunteers. No experience necessary, and all volunteers ages 14 and over are welcome and needed. Our work day is from 8am-4pm, rain or shine, with lunch provided; a full day is preferred but half day shifts are also an option. To participate RSVP to Tim Brincefield at tbrincef@comcast.net or 206-245-7006.